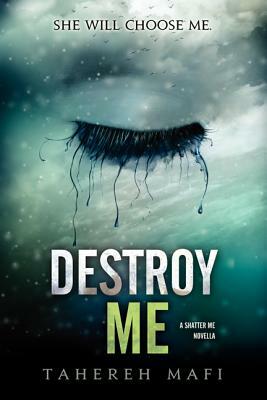 Set after Tahereh Mafi's Shatter Me and before Unravel Me, the spellbinding sequel, Destroy Me is a novella told from the perspective of Warner, the ruthless leader of Sector 45. In Shatter Me, Juliette escaped from The Reestablishment by seducing Warner--and then putting a bullet in his shoulder. But as she'll learn in Destroy Me, Warner is not that easy to get rid of . . .